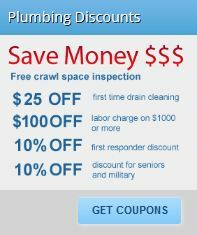 Are you looking for a an affordable local plumber that provides excellent service in Pacific Beach and Clairemont area? Drain masters provides 24 hour plumbing repair and service to all Pacific Beach and Clairemont residents and businesses. From water heater replacement to complete drain service our technicians will be responsive to your needs, treat your home or office with respect and will inform you with pricing before they start the job. One of the most common plumbing problems in Pacific Beach and Clairemont areas is the pipe corrosion. Estimates show that pipe corrosion costs homeowners more than one billion dollars in the United States. It is very important to keep up with your drain maintenance in order to avoid costly repairs. We offer free complete house plumbing inspection to all Pacific Beach and Clairemont residents. Video inspection pinpoints the trouble spot and helps visually confirm the cause of the drainage problem. There are several reasons for continually slow draining pipes and repetitive clogs. The video inspection will confirm if it’s a root intrusion, crushed, cracked or misaligned pipe. Drain Masters Plumbing Company video camera inspection service is the most effective method available and will allow the operator to quickly determine the correct solution.